American Atheists claims to be terrified that Republicans will create a Christian theocracy and it denies America’s Judeo-Christian heritage. It also seriously believes that Christian terrorists pose a serious threat to them. 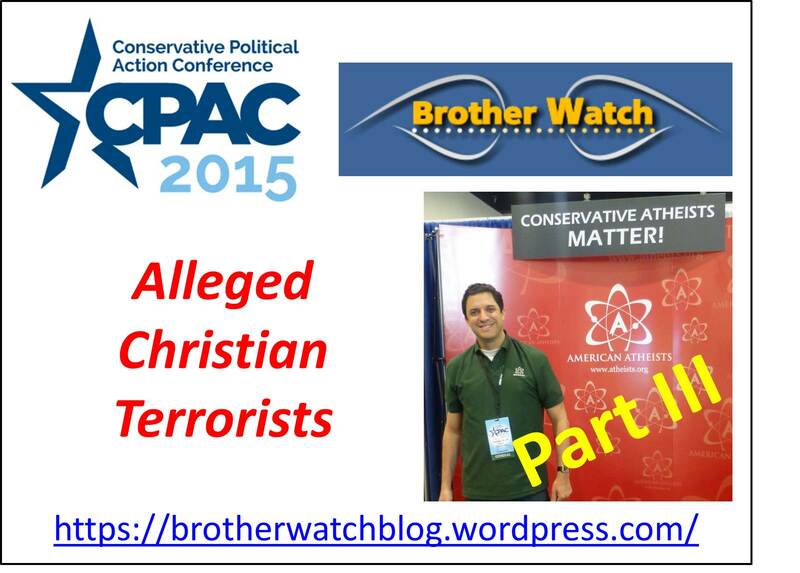 David Silverman, President of American Atheists, spoke at CPAC 2015 and, in an interview with me, made several astonishing claims. He denied that America was ever a Christian nation, feared that it would become one under Republicans, and asserted that Christians are terrorists. For decades now, the Left has redefined terrorism as something either conservative or Christian in nature. Despite the indisputable nature of the Islamist threat to America and civilization itself, the Left’s preferred bogeyman is conservative Christians. Even in the face of beheading by Muslims in the name of Allah, the Left focuses on alleged Christian terrorism. Those who charge conservatives and Christians with terrorism typically hold America in contempt and view America as the problem. 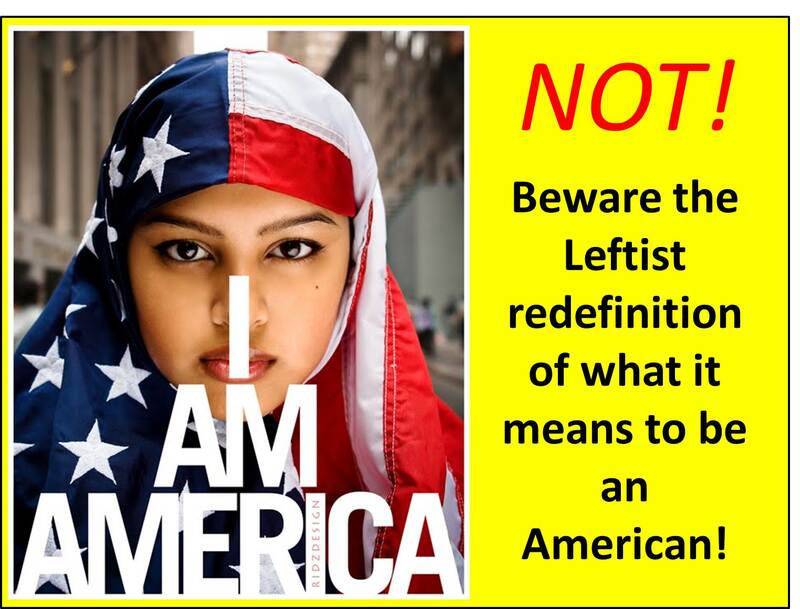 Just as they are re-writing history as it is taking place, they have rewritten American history to expunge the good and replace it with something else. Silverman fits the mold and exemplifies the pattern. Silverman continued, “And, yes, there are some sects of Christianity that are quite dangerous to atheists, quite dangerous to the atheists’ civil rights, and quite dangerous to atheists’ health.” But, again, he failed to explain how, exactly, Christians are dangerous to atheists. Though he did raise the specter of Christian terrorists! Except, that’s a lie. Breivik did not commit terror in the name of Jesus. He committed terror in the name of cultural restoration. Christians, by definition, believe that Jesus – the Son of God – died for the salvation of believers. With His resurrection, celebrated at Easter, Jesus rose victorious over death that we might live for His glory. Jesus’ gospel is one of peace, not violence. Yes, again, Silverman claimed a moral equivalence between Christians and Islamists. Most prominent in his assertions, Obeidallah claimed that Christian militias are ethnically cleansing Muslims from the Central African Republic. Just one tiny problem: They are not Christians! They are not Christians. Calling them “Christian militants” does not make it true. Did you catch that? It is “a pseudo-Christian cult.” It’s not Christian! It’s phony! But what about the Ten Commandments? Jews and other non-Christians se value in the Decalogue. But what of the LRA? LRA commander Vincent Otti explains, “Lord’s Resistance Army is just the name of the movement, because we are fighting in the name of God.” Notice, he didn’t say which God. In other words, his is a political platform divorced from Christianity and without Christ. In reality, Roeder had a long history of psychiatric illness. In reality, the world does not have to worry about Christian, Jewish, Buddhist, or Amish terrorists. It does have to worry about Islamic jihadists – hundreds of thousands of them at the very least – who commit jihad based upon a logical interpretation of Islam. 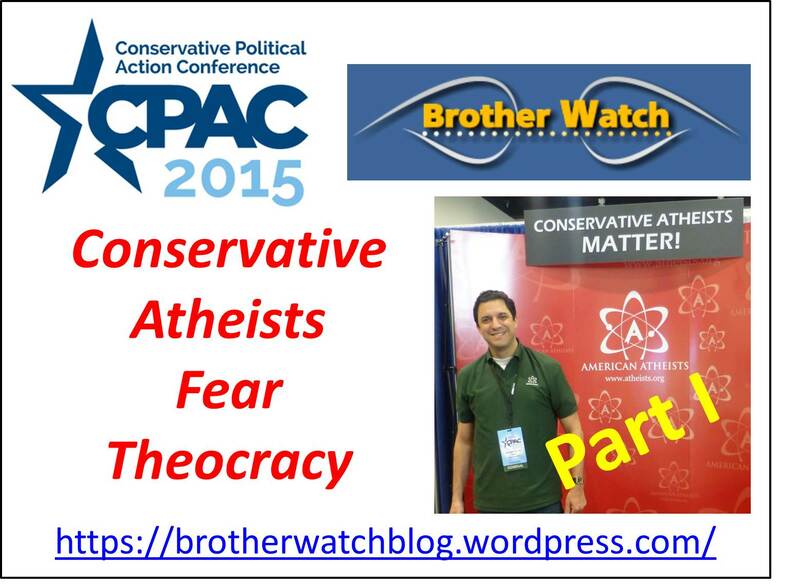 See “CPAC: Conservative Atheists Fear Theocracy” at http://wp.me/p4scHf-8y. See “Columbus Rediscovered” at http://wp.me/p4scHf-4E. See “Thanksgiving Day Down the Memory Hole” at http://wp.me/p4scHf-5E. See “Resurrection: Life & Liberty, Power & Purpose” at http://wp.me/p4scHf-z. See “True Meaning of Christmas” at http://wp.me/p4scHf-6w. See “Reflections on 9/11” at http://t.co/86kIRapYtf. 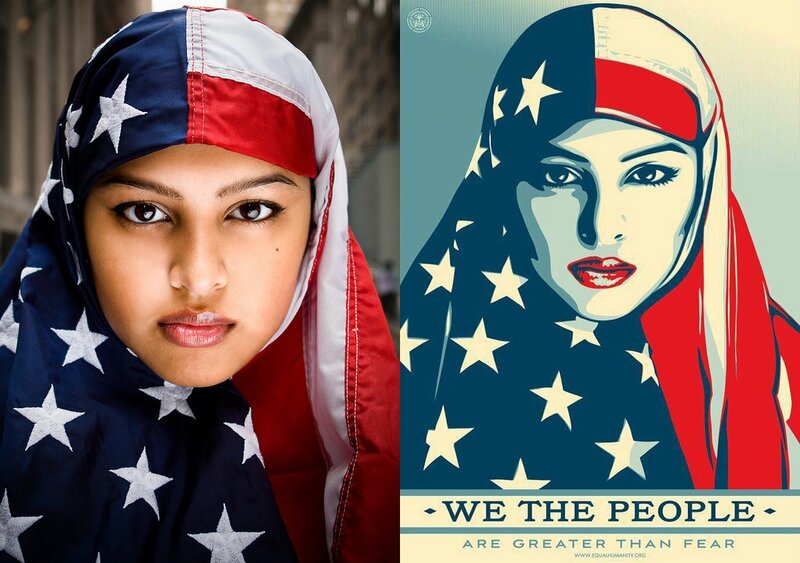 This entry was posted in Uncategorized and tagged American Atheists, Anders Breivik, Barack Obama, Christian nation, Christian terrorist, conservative atheists, Constitution, cpac, David Silverman, Dean Obeidallah, Declaration of Independence, Founding Fathers, George Tiller, Islamic jihad, Lord’s Resistance Army, Marie Harf, multiculturalism, pluralism, Scott Roeder, Ten Commandments, Treaty of Paris on April 6, 2015 by BrotherWatch. 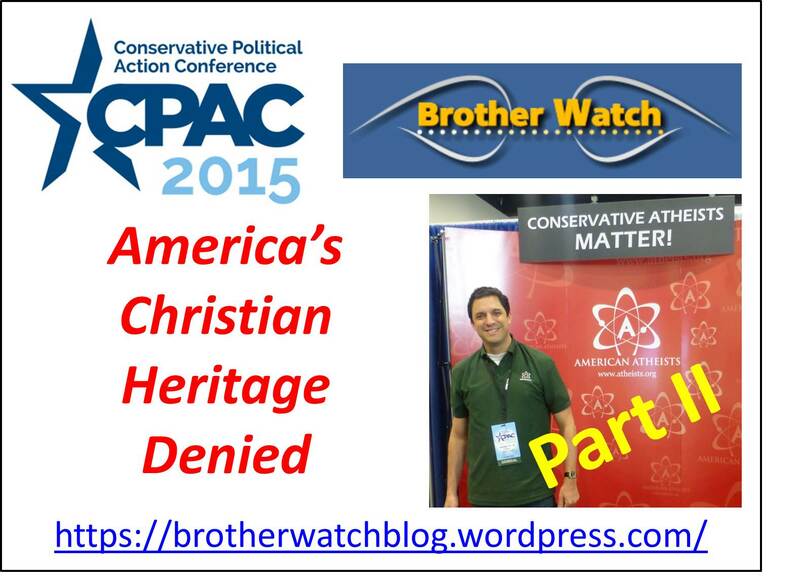 CPAC 2015 offered a glimpse into the thinking and worldview of those who would totally secularize America. The “conservative atheist” who wants to “purge” the GOP of every vestige of Christianity also seeks to throw America’s Christian heritage into an Orwellian memory hole. Actually, America has a Judeo-Christian heritage going back to its discovery by Columbus in 1492. Columbus was a prayerful Christian who insisted his men treat native populations humanely and he sought to spread the gospel of Christ wherever he went. Yes, America’s Founding Fathers were Christians! Why this emphasis? To deny Christians standing in the court of public opinion and to disinherit Christians from their heritage. Far too few know that the Declaration was deeply influenced by Scripture. The National Center for Constitutional Studies provides an in-depth analysis of the Declaration’s biblical roots. The Founders, therefore, saw God as the originator of their rights and the architect of their laws. Why would that be? Because Silverman seeks to prevent Christians from freely exercising their religious rights in the public square. As noted in Part I, Silverman seeks to exclude Christians and other people of faith from the public square, making them second-class citizens. If the Framers of the Constitution intended to divorce religion from government, why were there 15 fasting proclamations from 1777-1863 and 37 thanksgiving proclamations from 1775-1989? The Founders, including Jefferson, saw the First Amendment as prohibiting the federal government from establishing a religion while permitting the establishment of state religions. Which is, in fact, what happened. If Silverman were correct, all state religions would have ceased in 1789. 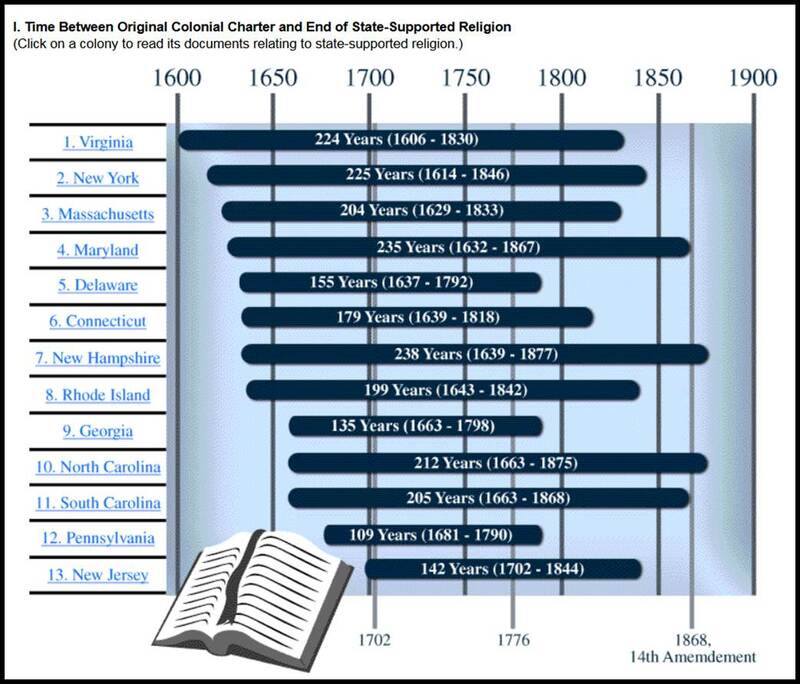 As the accompanying chart shows, many state-supported churches continued well into the mid- and late-nineteenth century. Is it true that who wrote the Constitution does not matter? That is sheer nonsense. To suggest that a nation of Christians would create a secular Constitution opposed to faith is folly. The history of the people, their words, and their deeds tell us otherwise. The very existence of state-sponsored (Christian) religions through much of the 1800s attests to the Christian nature of the American experiment. America’s Founders (and the population as a whole) were largely religious, mostly Christian, and their faith stirred their endeavors. Looking at the record of the Constitutional Convention – and their subsequent actions upon ratification of the Constitution – we can determine their original intent in creating this law of the land. The brilliance of the Founders was in humbly seeking the counsel of God, looking for wisdom in Scripture, and creating a governing framework which takes into account the fallen nature of mankind and the world. Recognizing that power corrupts, the Framers provided a set of checks and balances in the form of the three branches of government, a bicameral legislature, federalism, the electoral college, and the like – all premised on a biblical understanding of human nature. Silverman’s smoking gun is not what it appears. 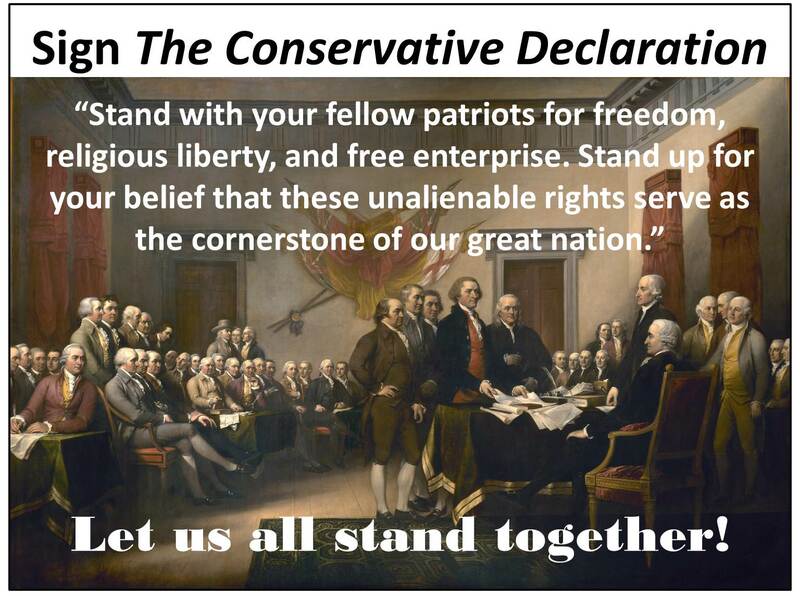 Our Founders embraced those sentiments decried by the Left, just as Americans have for over two hundred years. The American people have always been spiritually oriented and the government was intended to support that biblical culture. In 2001, 85% of the U.S. population was religious. Of those who are religious, 95% are Christian. There are 68 references to God in the U.S. Code. Today, Christians in America are under assault as never before. Political correctness in America’s cultural institutions – from academia, to Hollywood, to the media – targets Christians for ridicule and “reeducation.” Mob violence in Indiana during Holy Week – in opposition to religious freedom – starkly exposes the extent to which Christianity is under assault. American Atheists, with its slick propaganda, is allied with those who would purge Christianity from America. We need to exhibit courage, speak the truth, and fight for what we believe. Let the truth be known that America was and is a Christian nation, and that we want it to remain so! See also Pauline Maier, American Scripture: Making the Declaration of Independence, Vintage, 1998, and Gary T. Amos, Defending the Constitution: How the Bible and Christianity Influenced the Writing of the Declaration of Independence, Wolgemuth and Hyatt, 1989. See David Barton, Original Intent: The Courts, the Constitution & Religion, WallBuilder Press, 2008. James Madison, The Federalist No. 37, 1/11/1788, http://www.constitution.org/fed/federa37.htm. See Vidal v. Girard’s Executors, 43 U. S. 127, 198 (1844), http://vftonline.org/EndTheWall/TrinityHistory.htm. See Church of the Holy Trinity v. U. S., 143 U. S. 471 (1892), http://vftonline.org/EndTheWall/TrinityHistory.htm. Reports of Committees of the House of Representatives Made During the First Session of the Thirty-Third Congress, Nicholson, 1854, pp. 6, 8. 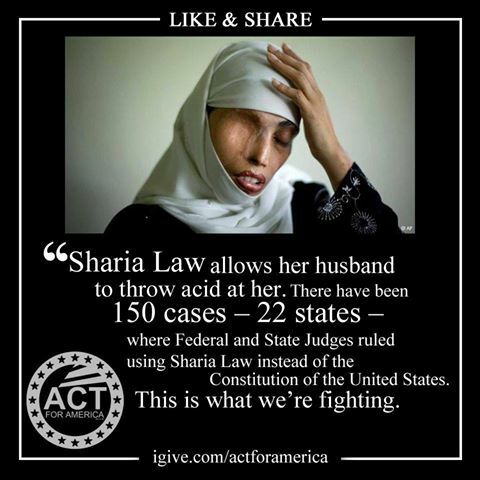 This entry was posted in Uncategorized and tagged American Atheists, Anders Breivik, Christian nation, Christian terrorist, conservative atheists, Constitution, cpac, David Silverman, Declaration of Independence, Founding Fathers, Islamic jihad, multiculturalism, pluralism, RFRA, Treaty of Paris on April 3, 2015 by BrotherWatch.